Advances in Blockchain Application Technology on Innovations with Ed Begley, Jr.
DMG Productions uncovers the latest advances in blockchain technology. In an upcoming episode of Innovations w/ Ed Begley Jr., the award-winning producers will explore the latest advances in blockchain technology applications and solutions. This episode is slated to air first quarter 2018 on FOX Business. Check your local listings for more information. The show will focus on draglet, a blockchain service provider with years of experience, dating back to the beginning of Bitcoin and Ethereum technology. 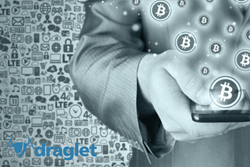 Viewers will learn how draglet’s initial coin offering platform differs from other standard implementations, and will be educated about real smart contracts applications, as well as its white-label exchange software, which is currently utilized by over 20 cryptocurrency exchanges worldwide. “Blockchain technology is currently disrupting the world on a global scale. New innovations emerge on a weekly or even daily basis which altogether propels the cryptocurrency industry to reach new heights. We are fortunate to have been involved in the crypto business for such a “long” time and therefore are very excited about how things have been developing this year. Taking part in the Innovation series is an honor for us. It is the icing on the cake and we are very happy that we have been given the opportunity to work with such a renowned production company and tell the world more about what we do,” said Benjamin Bommhardt, Sales Director at draglet.